Paying for college just got easier. Click HERE to search or sign up for a FREE scholarship service. Click HERE to check out the CCLA Financial Aid Blog Spot. Click HERE to find anything from A-G requirements, to SAT prep info, to college entrance information. Mrs. Hernandez has set this up for you so that you can get all of your questions answered in one easy place. Check it out today!!! Click HERE for the link to the CCLA College Center. A GREAT resource to help you plan out a positive, successful future. Jennie: connecting you, school and the community is a facebook page offers information on jobs, internships, and scholarships. The information listed is open to ALL CCLA students. Be sure to like the facebook page from your page so that you get updates straight to your own facebook page. 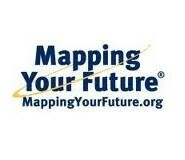 Click below to start mapping out your big future! Click HERE to connect to your step-by-step future planning guide and scholarship searches! !